The yellow daffodils inspired me to make some lime curd from small juicy yellow-skinned limes that my sister in law Monica sent me from the sunny Hawkes Bay. 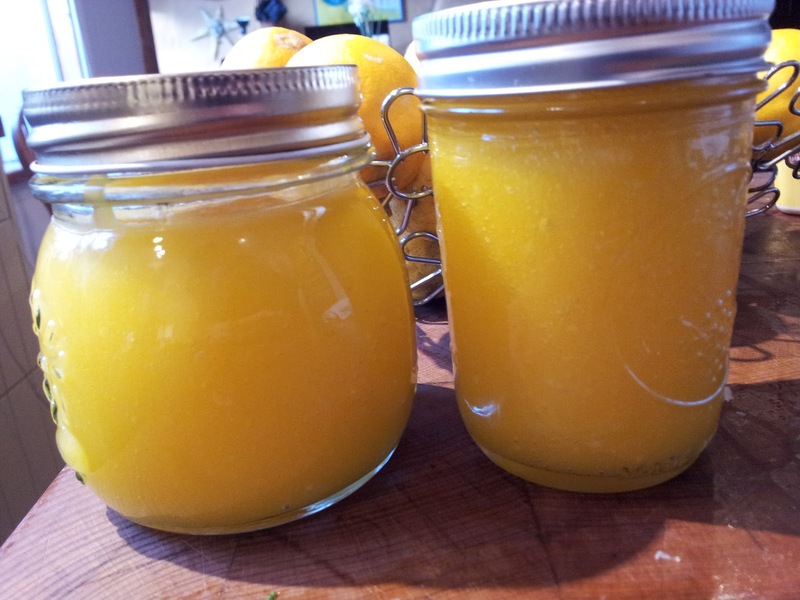 She sends us southerners a mercy parcel every now and then as we can't grow citrus down here. This time she also gave me a gorgeous litre pack of fruity extra virgin olive oil from The Village Press of Hastings. I love visiting the Hastings farmers market on Sundays whenever we visit the Bay - I am so envious of things they can grow. 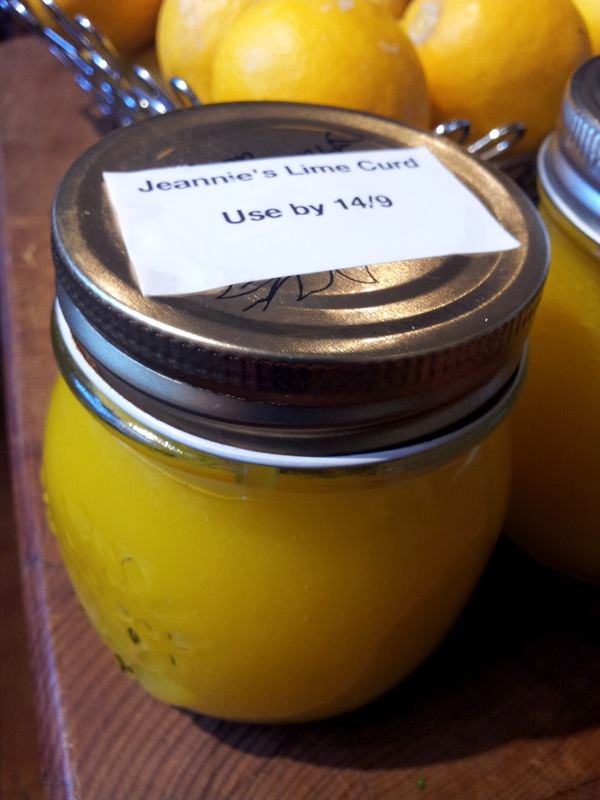 This curd looks more like a lemon curd in colour and you can use the same recipe for a lemon curd. 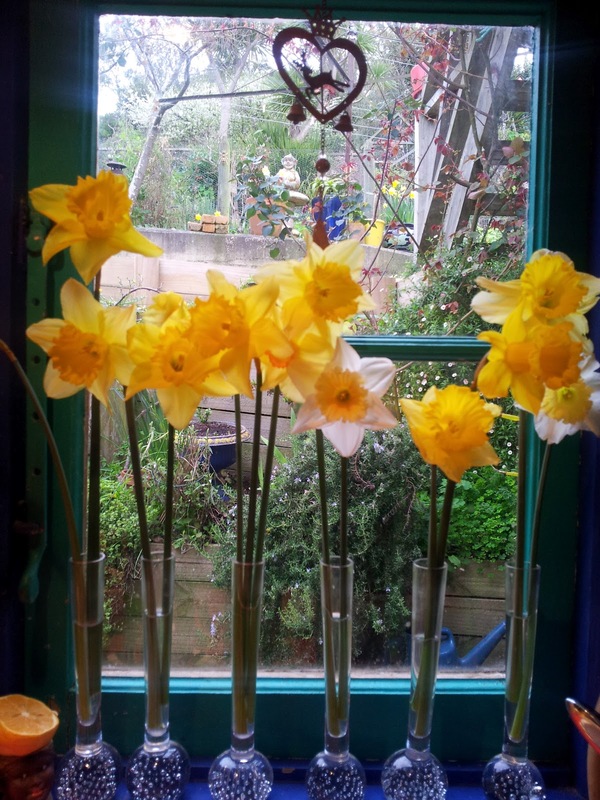 I used homegrown eggs from our neighbour Claire and this contributes to the rich yellow. 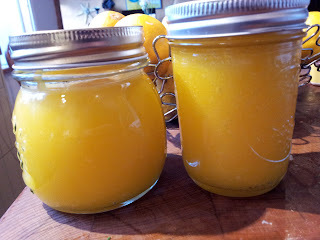 It only makes a small quantity and if you have abundant lemons, limes or eggs then you can double the recipe. If you don't have a double boiler use a Pyrex or heat resistant bowl over a pot of boiling water to cook your curd. 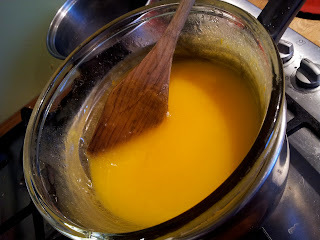 Start with the juice and with a whisk gradually whisk in the eggs, sugar and butter. Keep stirring as it cooks. My son Gus who makes heaps of curd told me the secret of a smooth curd is to strain it before bottling into hot jars. I strain it into a pouring Pyrex jug - I am left with any eggy bits in the strainer. Eggy bit are caused through not stirring well enough at the beginning and the straining will also catch the strips of lime zest. 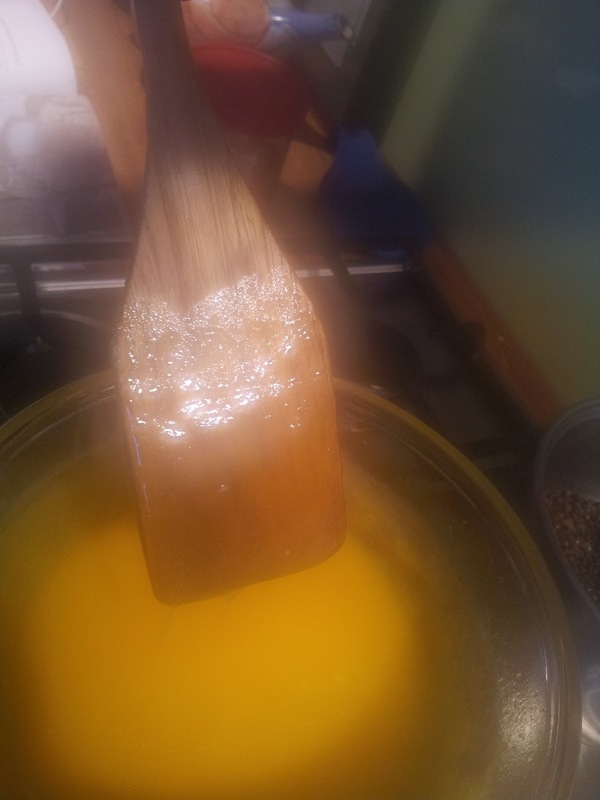 If you have grated the zest really finely and your curd is perfect you wont need to do this step. Finally label with a use by date. As curd contains egg it should be eaten within 3 weeks and should always be stored in the refrigerator. This curd is divine with a rich bread like brioche. Enjoy! 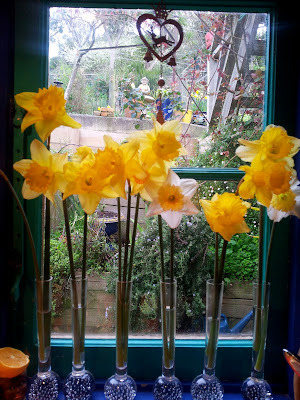 Ohh looks delicious- nice to see such a cheerful yellow blog post.